Haven’t we all dreamt of enjoying a life of designer goods, gourmet food, luxury comforts and a carefree lifestyle each day? While most of us can only wonder what a high life would be like, and whether true happiness can really be found amongst the rich and famous, ONE may have just the answer for you in its latest Korean drama series, Cheongdam-Dong Alice. 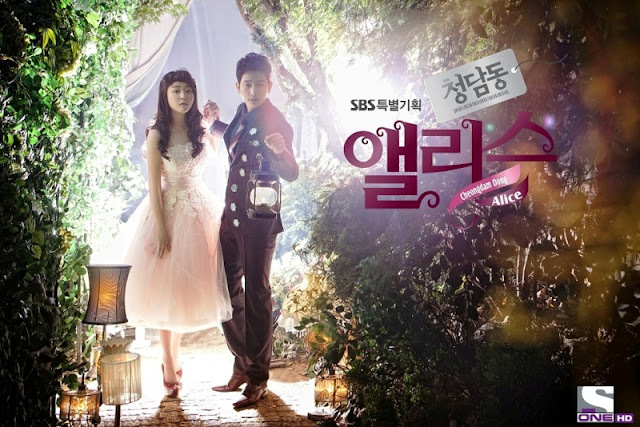 Premiering on 17 April 2013 and airing from Mondays to Thursdays at 7.40pm first and exclusively on ONE HD (Astro B.yond Ch393), Cheongdam-Dong Alice stars Moon Geun Young (Painter of the Wind) and Park Si Hoo (Confession of Murder, Prosecutor Princess) in a series that follows amongst the elite in the exclusive and extremely well- off world of luxury and materialism of Cheongdam-Dong neighbourhood of Gangnam district in Seoul. Believing in ‘L‘effort est ma force (Hard work is my strength)’, Han Se Kyung works through all the hardships in life with optimism and lands her dream job at apparel firm GN Fashion - only to be made the errand girl to Seo Yoon-joo (So Yi Hyun, Swallow the Sun), the wife of the company’s president and her rival back at school. The stark difference between her life and Seo’s drives Han to want to be like her, to marry rich. As she sees how Yoon-joo’s life has made a turn compared to her own, Se-Keung decides to do the exact same thing – marry a rich man. She enlists Yoon-joo’s help and embarks on the project to become a “Cheongdam-dong daughter-in-law”, an upscale, fashionable young lady who marries into the social upper crust in the small, insular, and particularly posh Cheongdam-dong. She meets Jean Thierry Cha, the youngest CEO in the luxury-brand market, who is an independent, successful but petty-minded businessman. Despite living “the life”, he harbors a dark side to him – he was determined to take on revenge to those who have hurt him. On top of that, he has a strong hatred for women whose obsession is luxury-brand products and is gold-diggers. The title is a reference to Alice in Wonderland, of the heroine’s fish-out-of-water status in the Cheongdam-dong neighborhood as she navigates the strange new world of designer clothes, gossip and consumerism. Se-Keung agrees to a marriage, but what ensures is a warm and cheerful story of finding real happiness.